"How bad was it, really, to put together?" While I did lend a hand here and there, the brunt of the assembly work was done by my husband with the occasional help from one of his brothers. That said, I figured the best way to give you a true perspective on the whole assembly process would be to sit him down for a little interview, you know, once the feeling returned to his fingers and he'd mostly forgotten how grueling the entire process was. 1. 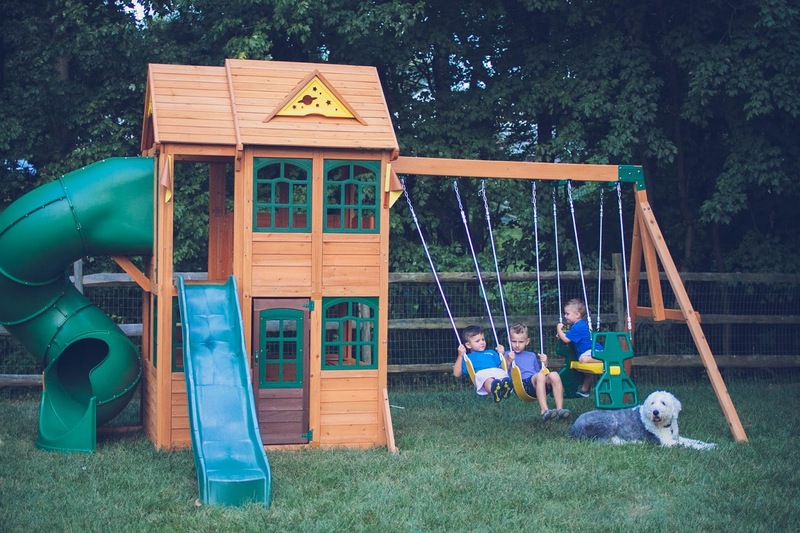 How long did it take you to assemble the set, The Charleston model, from Big Backyard Play and how many helpers would you suggest to have on-hand? "Between battling poor, wet weather conditions in late June and then stifling hot days the following month, it probably took several weekend days to put this set together. It comes in what feels like no less than 2,000 pieces. While daunting at first, once the process got rolling, it was easy to keep the momentum going. I'd say I worked about five to six hours each day on it for three to four weekends in a row. While having just one extra set of hands around to help would be beneficial, I would say you shouldn't need more than two or three helpers. It moves pretty quick with just one extra set of hands!" 2. What was the hardest part of the process? "Hands down, the tube slide. It came in almost 14 pieces and with ultra-tiny bolts, it was just a pain to put together. I was also doing it solo so there's a good chance it would've gone much smoother with an extra set of hands, or two. Thankfully the instructions were fairly easy to follow." 3. What would you do again differently if given the chance? "I think I would've tried to do it all in one day. It was annoying to have to put everything away after each day that we worked on it. Keeping track of the individual screws was the worst part! I think I would've tried to be better at that." 4. Will you take this set with you when you sell the house? "Yes, absolutely! 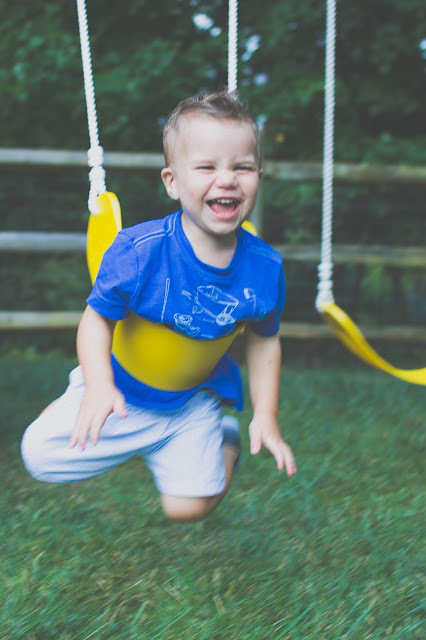 While we never planned to live in this house forever, we knew how much our kids would love and appreciate a backyard swing set. Now that I've assembled it, I can see how easy it would be to disassemble into just four or five large sections that could easily be transported to a new location by pick-up truck. We'll definitely be taking this with us when we leave!" 5. 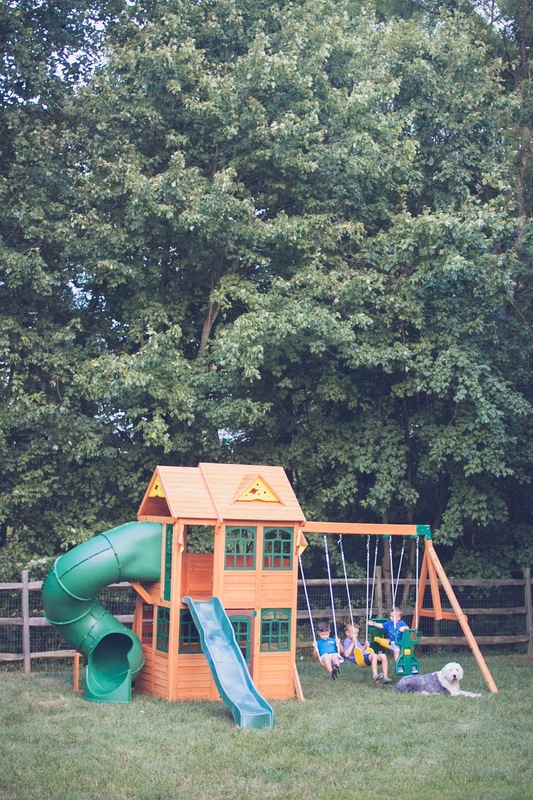 How much do your kids love their Big Backyard clubhouse and swings? "They are obsessed with it and I don't mean that lightly. 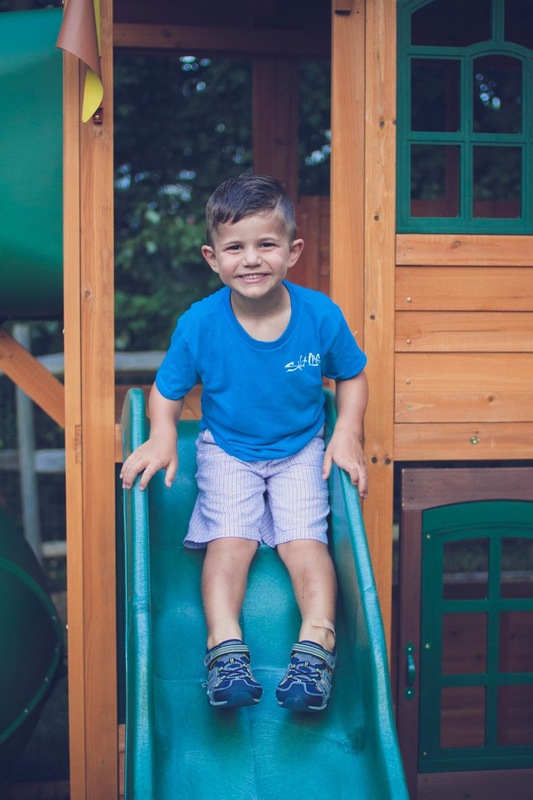 While I love seeing them swing on the swings and chase each other around the slides, what I love most is seeing them use their imagination and "sell things" in their little store. 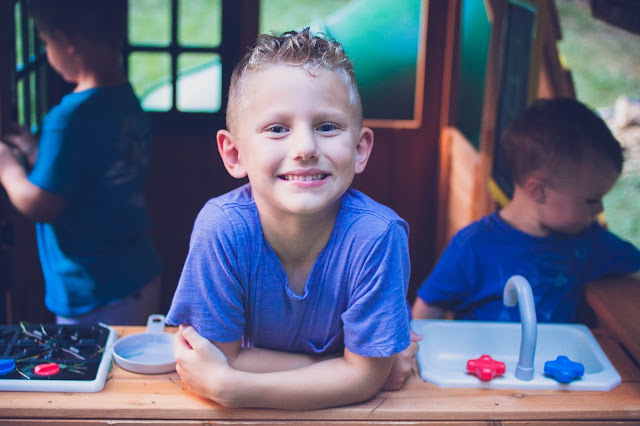 Beneath the clubhouse is a little kitchen-type area and they boys have already sold lemonade to their friends under there and made up a fake restaurant named "Fork and Spoon and Plate" where they create mud pies and grass patties to serve to their loyal customers." 6. What's your favorite part of the whole playset? "The tube slide, for sure. I never had one of those as a kid growing up and that was always the best slide at the park playground. 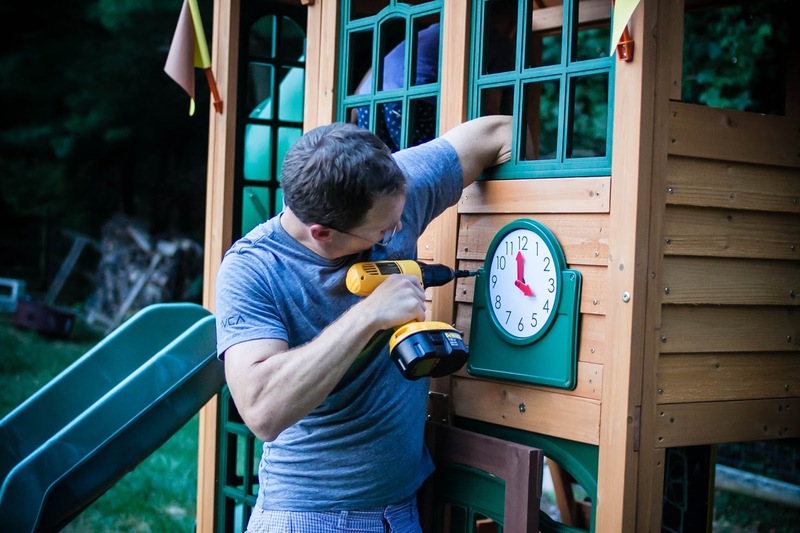 The fact that my kids have one in their own backyard? They'll never realized just how lucky they were and how good they had it!" Many thanks to my husband for sharing his thoughts on the backyard swing set installation process. 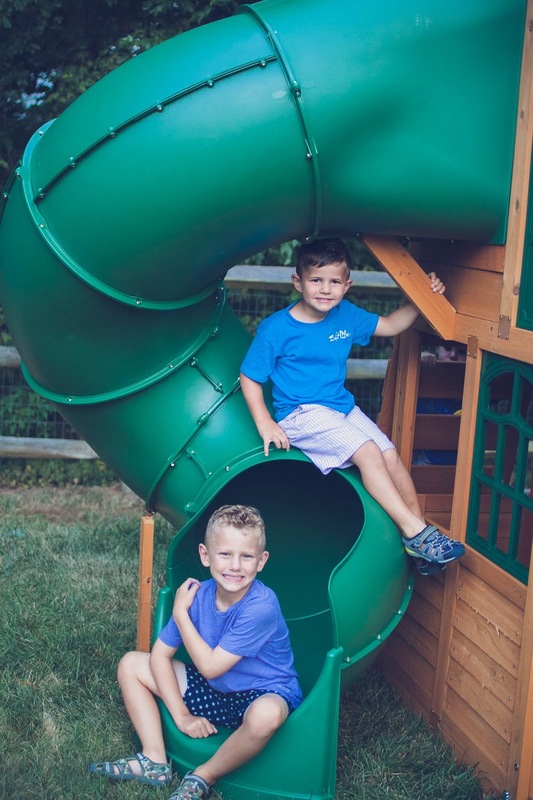 In case you missed it, you can read here about how we selected the perfect backyard play set for not only our backyard but also the season of life that we're currently in with boys ages 2, 4 and 6 years old. There's more that goes into choosing the right set than you think! 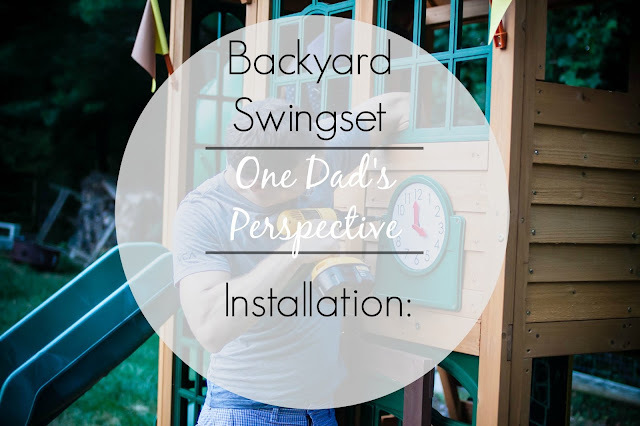 Disclaimer: This post is the second in a three part series as a Brand Ambassador for Big Backyard. I received a play set for free in return for sharing my honest, upfront opinions on our experience!